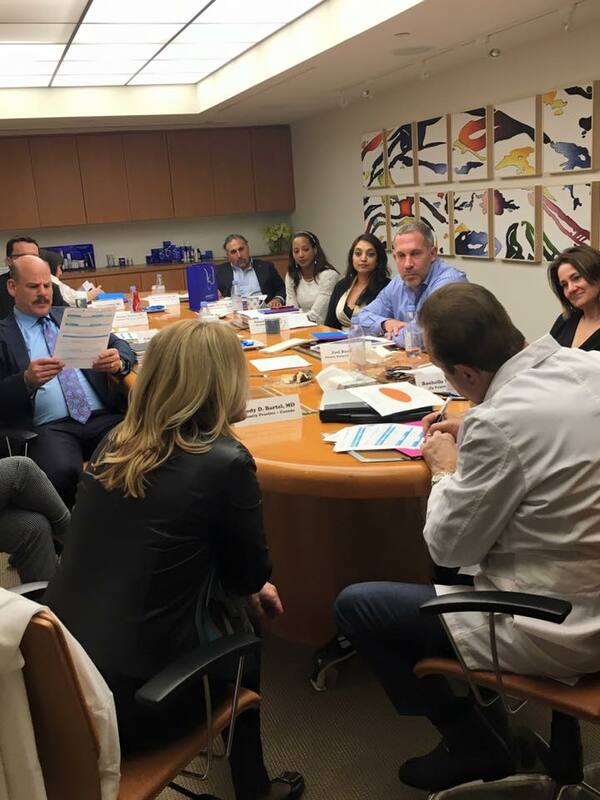 The Founder of SKIN, Dr. Rochelle Elijah, along with her partnership with RENEW Medical Aesthetics + Laser + Wellness Center, has just returned from Southern California where she had the opportunity to experience two days of extensive training at the Obagi Skin Health Institute with the acclaimed dermatologist, researcher and innovator Dr. Zein Obagi. When Dr. Elijah opened SKIN, she partnered with Dr. Obagi and his ZO Skin Health and Medical line of products to form the foundation of the clinic's mission to empower patients to 'Get Comfortable in Their Own SKIN'. During her stay at the Institute, she consulted with Dr. Obagi and evaluated the recommendations on the ZO Skin Health by Zein Obagi, MD. In the field of skin care, Dr. Obagi is considered the doctor's Doctor. The Obagi Skin Health Institute is a dedicated space for research, innovation and training in Southern California. This is where Dr. Obagi not only meets with patients but is the doctor's Doctor. Dr. Elijah in training with Dr. Obagi and other skin care specialists. Dr. Obagi working with skin care specialists in Southern California. The entire class at the Obagi Skin Health Institute (Dr. Elijah second from the left). The Obagi Skin Health Institute is the creation of Dr. Zein Obagi. This comprehensive, family-run business first opened its doors in 1985 as Obagi Dermatology Medical Clinic in Beverly Hills, California. The Institute serves not only as a base of operations for Dr. Obagi's ongoing research and education, but as a center for cosmetic dermatology, plastic and cosmetic surgery, aesthetic services and advanced laser procedures. In 2006, the new flagship, now known as the Obagi Skin Health Institute, opened in its current Beverly Hills location offering any and every kind of skincare treatment – all in a calm, spa-like atmosphere. A third location was opened in Laguna Beach, California in 2013. It's an architectural and clinical masterpiece right next to the ocean and near the resort community of Laguna Beach. At the Obagi Skin Health Institute individuals can enjoy life-changing treatments – topical skincare, indulgent facials and medical procedures. Their comprehensive treatments are specifically designed to restore and rejuvenate your skin. Schedule your personal evaluation and consultation with Dr. Elijah and the RENEW Team by calling Tel 719.553.2201 or by email at renewpuebloco@gmail.com.